By completing the form below, you are pledging to DO NO HARM through interpretation of Holy text or other religious writings. 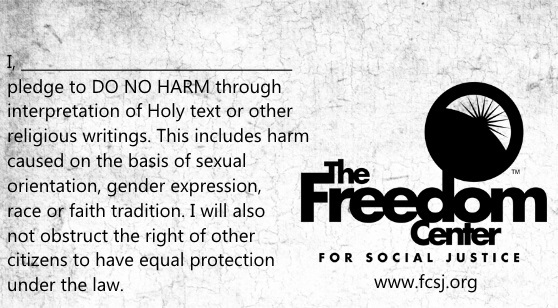 This includes harm caused on the basis of sexual orientation, gender expression, race or faith tradition. You also agree to not obstruct the right of other citizens to have equal protection under the law.